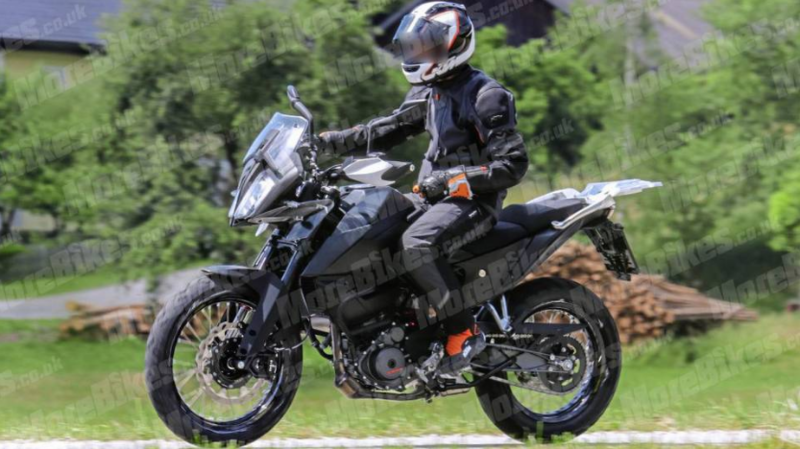 We are certain that KTM is testing 390 Adventure motorcycle India. 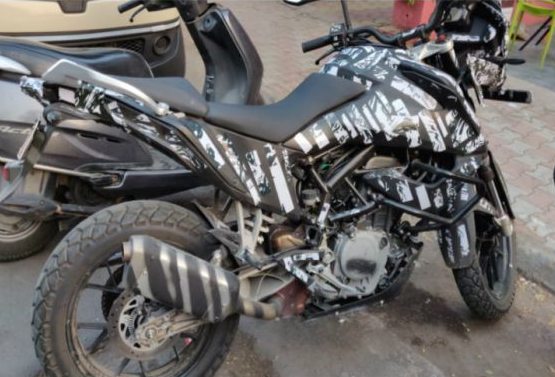 There are images of the said bike all over the internet. 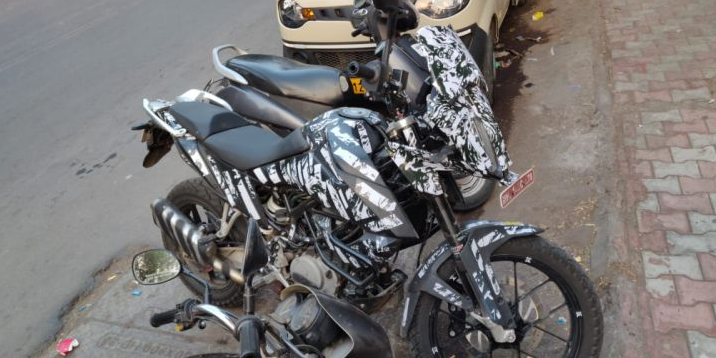 The European version was spotted with spoked wheels and few bikes had alloy wheels. This leads us into thinking that 390 Adventure will have multiple variants upon launch. First, let’s talk about the 390 Adventure Indian test bike. The bike is riding on alloy wheels. This bike might be the cheapest variant with a lower seat height. The tyres are also not hard-core off-roading on. 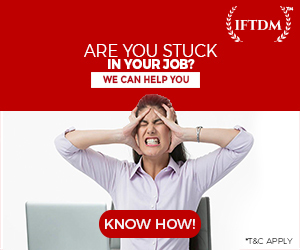 They are kind of dual-purpose tyres. 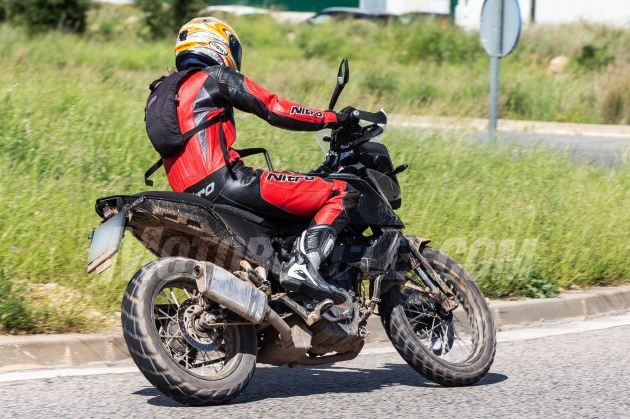 KTM 390 Adventure was also spied in Europe. The bike was not camouflaged and was completely blacked out. Here you can clearly see the design language of adventure motorcycle. 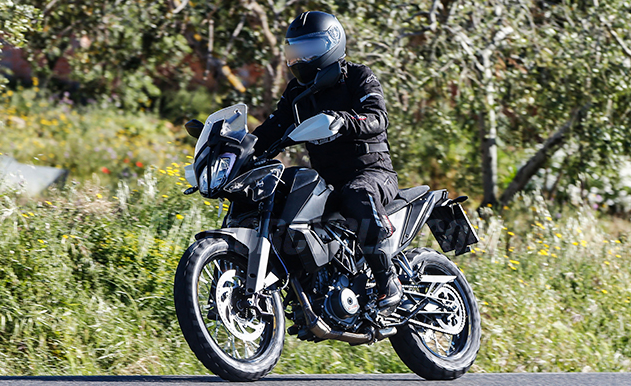 The main difference is that the European KTM 390 Adventure (in images) is equipped with spoked wheels whereas the Indian test version had black alloys. A more hard-core off-roader version might feature spoked wheels, knobby tyres, longer travel suspension and of course a higher seat height. The exhaust muffler is also looking bigger than that of Duke 390. 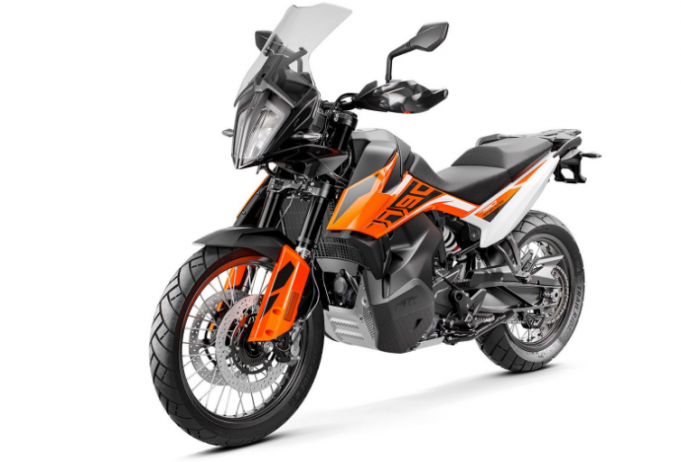 Upcoming KTM 390 Adventure will be BS-6 complying because it is logical to understand that the company will not spend again on developing BS-6 engine after launching this bike in June-July 2019 period. Long Travel USD forks take care of front while a monoshock handles the rear. WP branding is present on the suspension which looks like an adjustable unit as there are red adjustment knobs are present at the top of the forks. 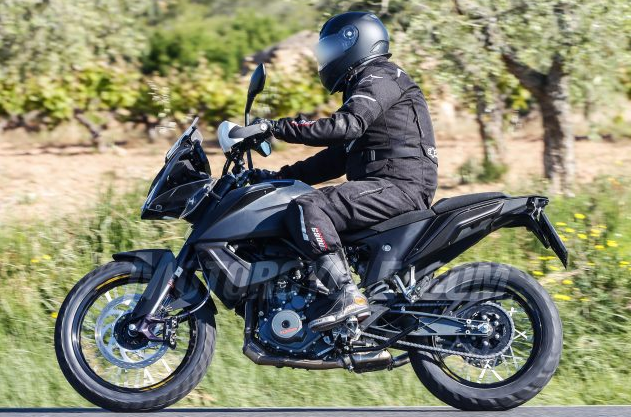 This is due to the fact that the 390 Adventure will run on a larger front wheel, and the reduction in the trail will help reduce steering effort, without compromising stability. 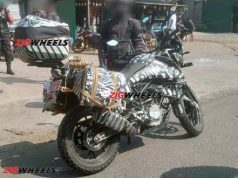 Previously the bike was spied with 19-inch the front wheel (RE Himalayan rides on a 21-inch front wheel) and rear 17-inch. Braking hardware will most probably be similar to that of Duke 390 to keep costs under control with dual-channel ABS being standard. 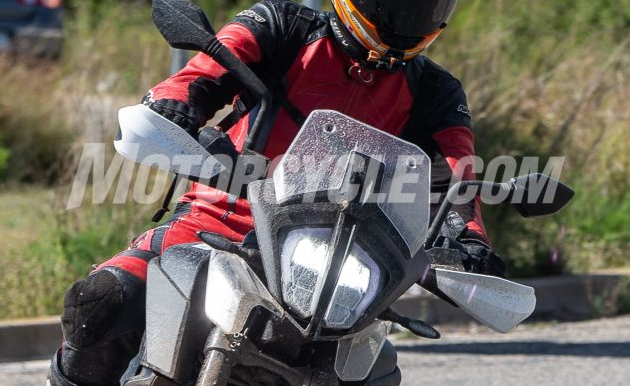 In term of styling, it will be similar to the European 390 Adventure motorcycle. 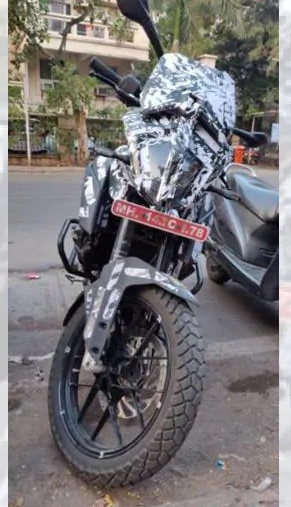 Dual vertical sharp headlights, short visor and small plastic fairing flanking headlights will be same for Indian version too. Large extensions from newly designed fuel tank are connected to the radiator shroud. Fuel tank would be similar to Duke 390 in capacity with the latter one holding 13 liters of fuel. Split seats and simpler tail section completes the design. The carrier could come as an optional accessory though. Handlebar seems wider, for better control over difficult terrains. 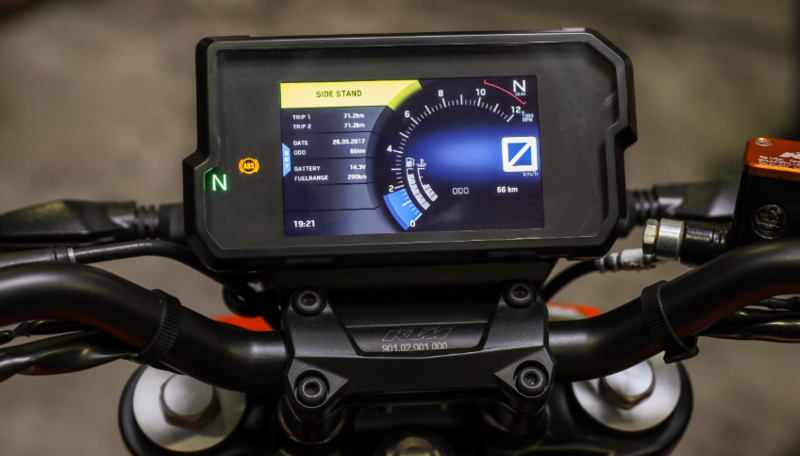 The TFT display will be carried over to 390 Adventure motorcycle with Bluetooth connectivity and navigation as well as new switchgear. The final product would look something like this KTM 790 Adventure motorcycle. Coming over to the powertrain, the bike will get its power from 373 cc single cylinder, liquid-cooled engine. The powerplant is good for 44 bhp and 37 Nm torque. The ECU will be tuned for better off-road performance and different gear ratios too. The most probable chances are that 390 Adventure will launch in June-July 2019 period. 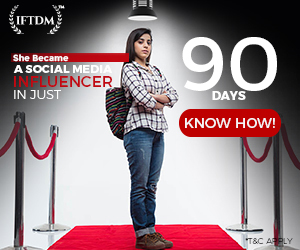 The estimated price could be like Rs 2.8 Lakh to 3 Lakh ex-showroom. 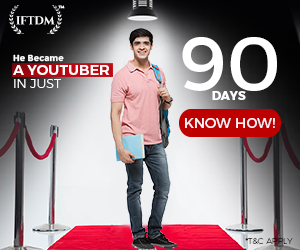 At this price, it will be Rs 40,000 to Rs 60,000 more expensive than the 390 Duke.